Densley packed Boar Bristle shoe brushes with wooden handles. Topped with natural Ox Horn. 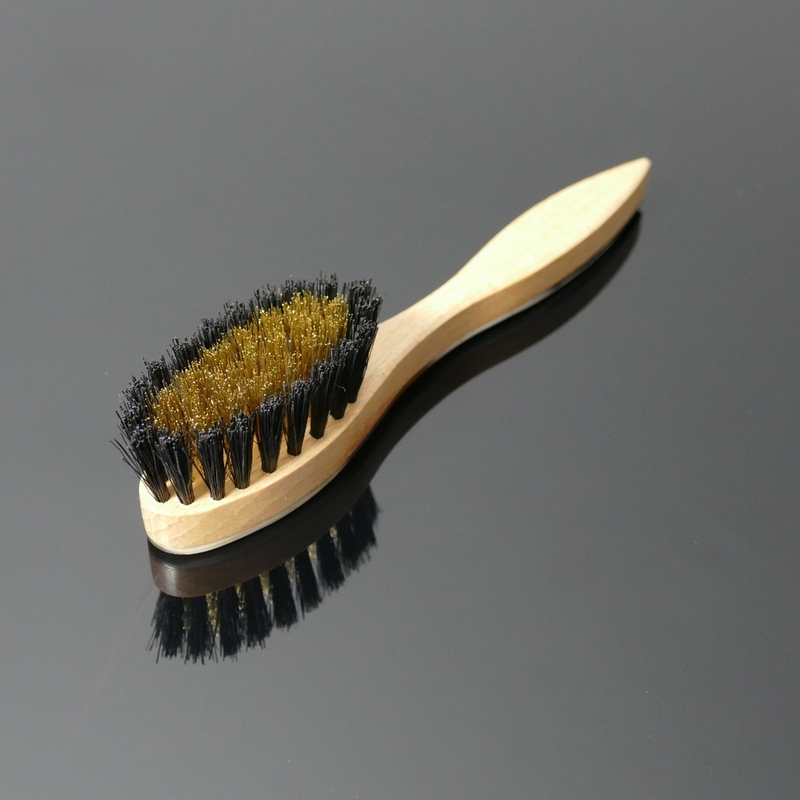 - Bristles are 2.5cm long. 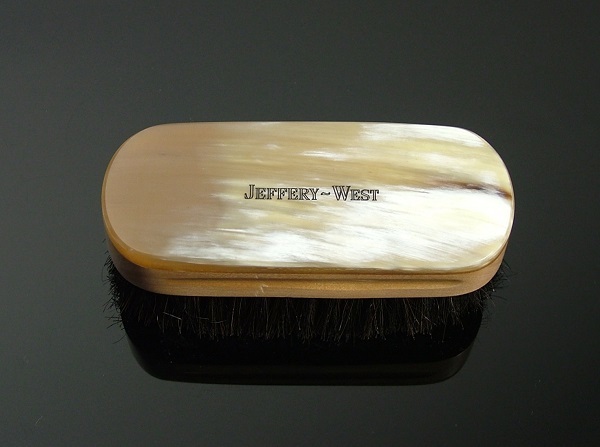 - Engraved with the Jeffery-West Logo. 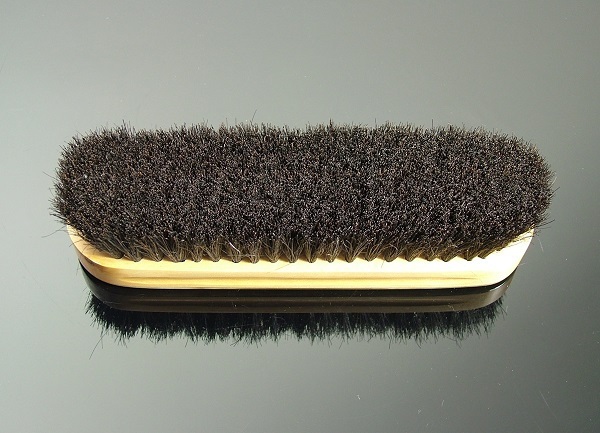 The brush is perfect as a cleaning device for all suede shoes, helping to remove surface stains and reviving the nap. It is lightweight and small and is an essential part of your shoe care kit. - Size : 25mm x 172mm. 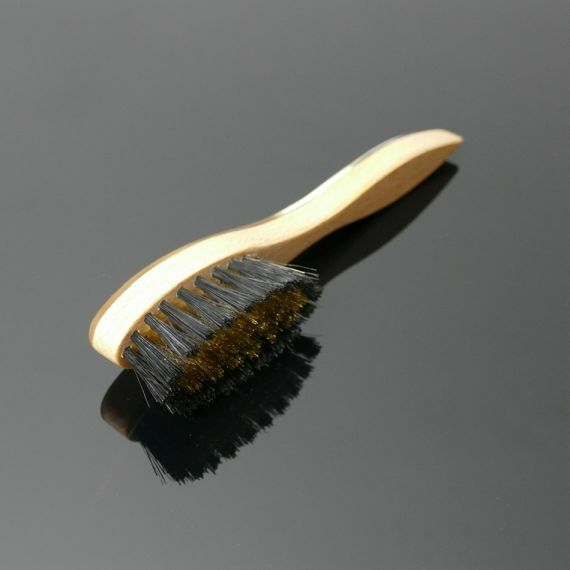 - Bristles are approx 175mm. The perfect additions to your shoe cleaning regime. 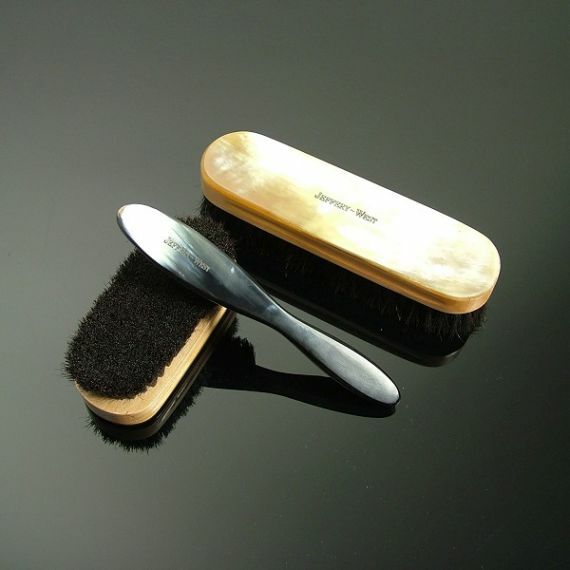 Useful for removing dirt and dust before polishing or for use during the "taking- off" process where the shoe cream or polish is buffed to a high shine. 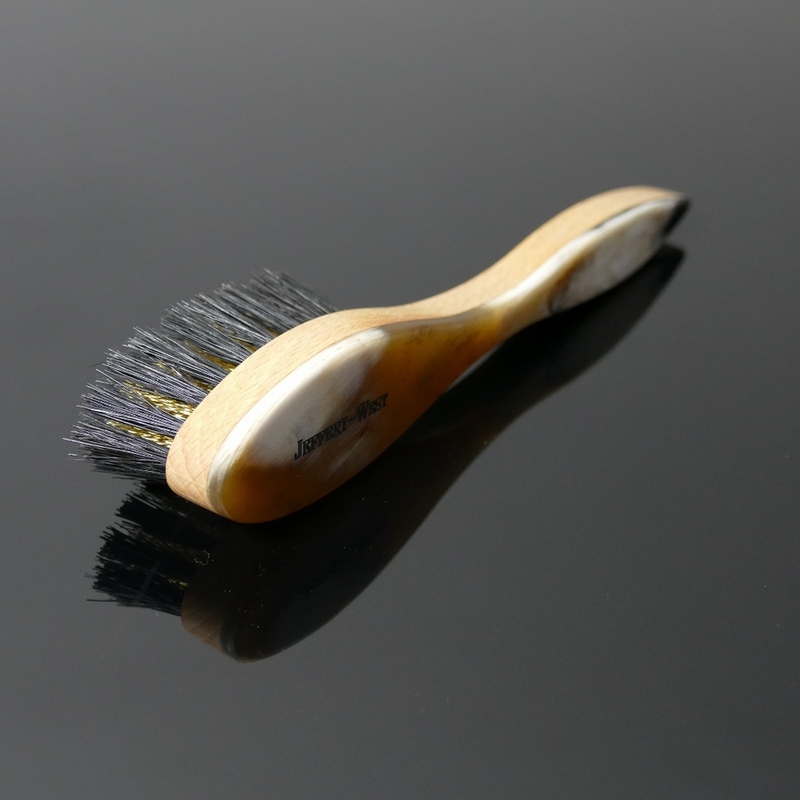 Please click here for our Shoe Care Guide.